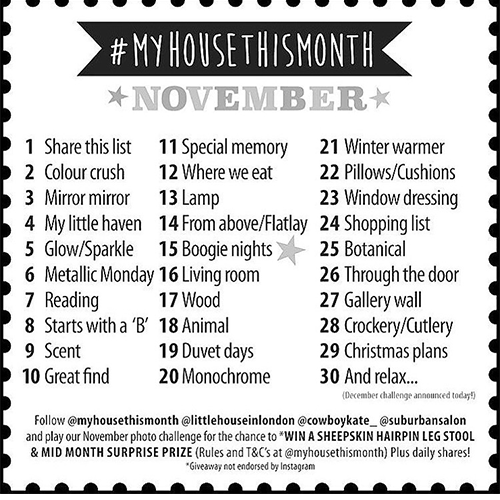 Those of you who follow my blog on Instagram will already know that throughout November, I did a photo challenge called #myhousethismonth. At the start of the month, you get a list of themes, with one for each day of the month. The idea is that you post a picture based on the theme for any given day. I thought it sounded like fun so I gave it a go, not for a second thinking that I’d keep it up for the whole month. Now that November is over and I’ve actually completed the challenge, I thought I’d share my photos here. 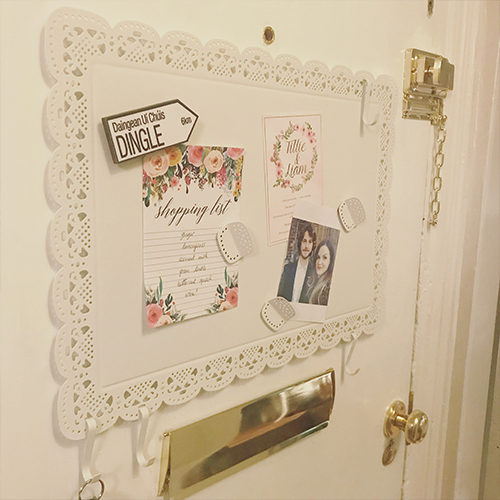 It’s given a sneak peek of a few projects I’ve taken on in the house but haven’t blogged about yet. It also motivated me to get some projects finished so that I’d have something to post for a certain theme! Read on to see the 30 pictures from 30 days. 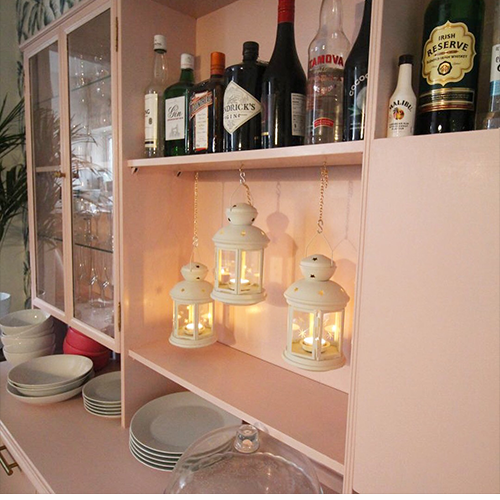 Day 2 of my house this month is colour crush so I thought I’d share my pink bar in the dining room. Is it cheating to post two in a day? 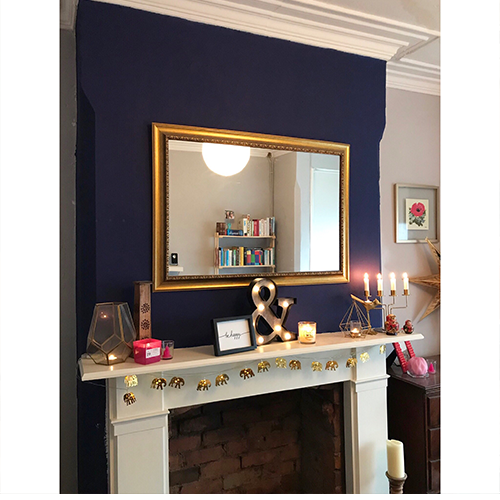 🤔 Here’s a second mirror mirror because I love my living room mirror, which really brightens up the room and was an absolute steal for only 99p from a local seller on eBay! 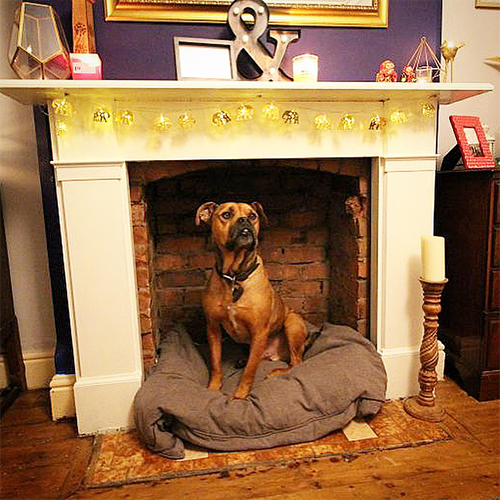 Day 4 is “my little haven” so it’s got to be my favourite place… my bed! 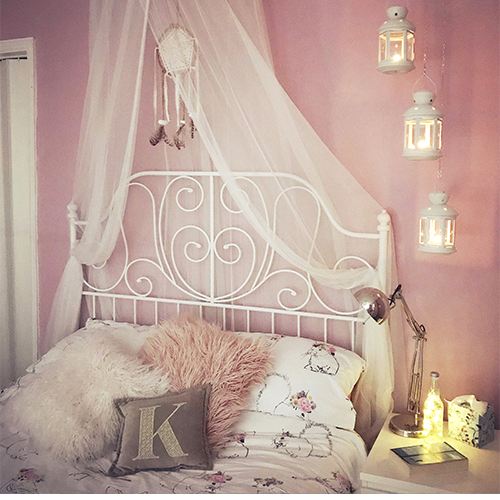 I’ve made it a cosy place to chill out by hanging a canopy, dream catcher and suspended lanterns. 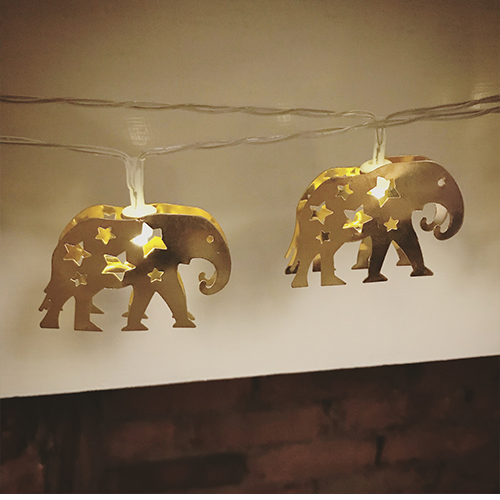 Day 5’s theme is “glow/sparkle” so it’s as good a time as any to share the gorgeous elephant fairy lights that frame my living room fireplace. I love them, they’re so pretty and were a bargain from Primark. 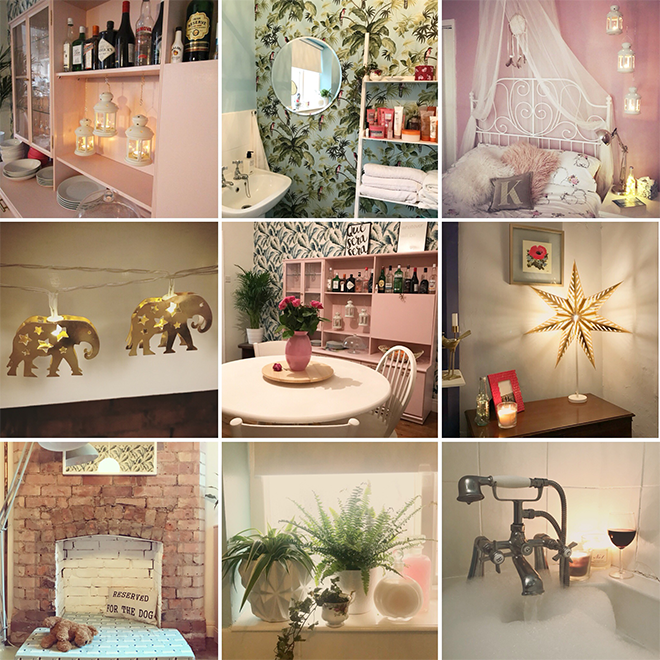 Bit late to the party with today’s my house this month but I’ve managed a week so far so I need to keep it going! Day 8’s theme is “starts with a B”, so I’m going with bed… Ted’s bed to be precise. And he’s looking very proud in it! 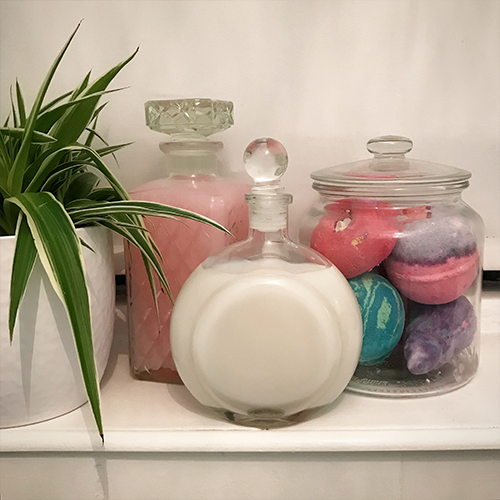 Day 9 is scent so thought I’d share a picture of my bath bubbles and bath bombs. 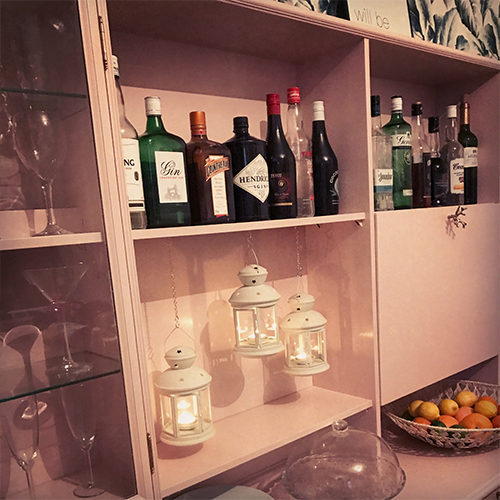 I love little more than a bath and a glass of wine… especially now the evenings are drawing in. The pink bubble bath is in a whiskey decanter that I bought from a charity shop for £2 and I love it! The jar is filled with the most amazing smelling lush bath bombs and bubble bars courtesy of my my amazing boyfriend! Day 10 (woohoo, double figures!) 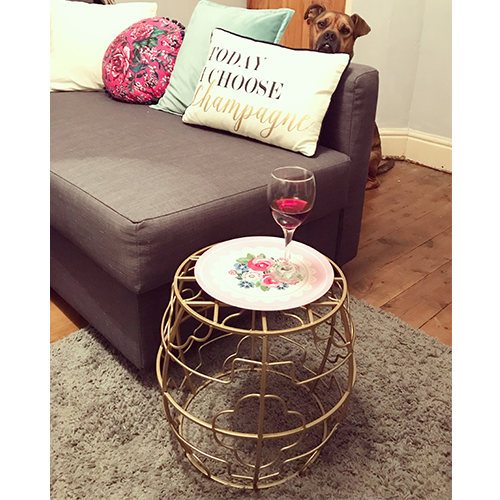 is “great find” and I’ve managed to put down my glass of wine for long enough to take a photo for my house this month. 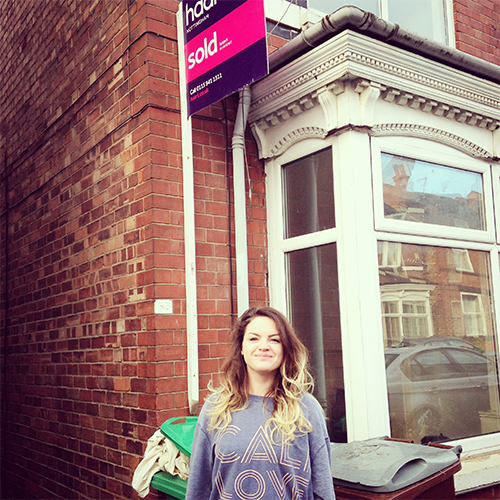 Special memory has got to be me with my first sold sign earlier this year. It took months of heartbreak, thinking it was never going to happen so it was the best feeling ever when it finally completed and I got my keys. 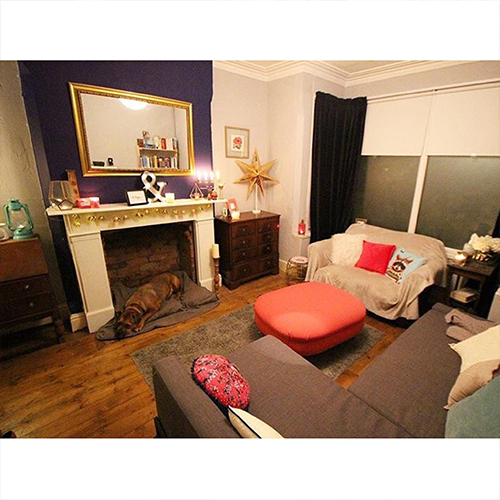 At this point the house was the dirtiest, smelliest thing I had ever seen and the first few weeks were spent bleaching everything in sight! Day 12 (can’t believe I’ve kept this up for almost 2 weeks!) 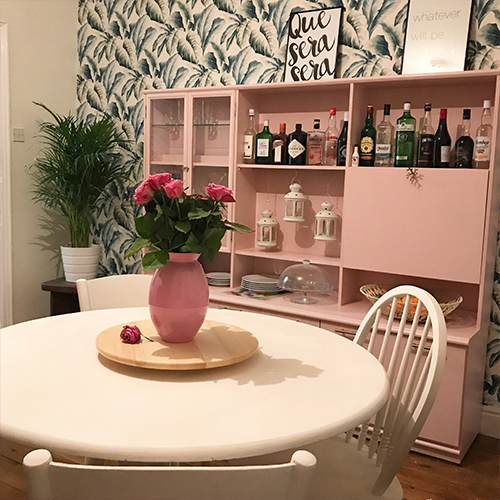 is “where we eat” so I’m sharing a photo of my recently upcycled dining table and chairs. 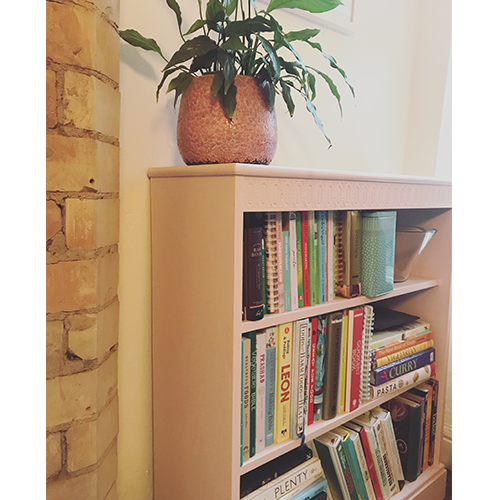 The table was another of my £10 eBay finds and a bit of chalk paint has given it a whole new lease of life! Hope everyone’s Monday hasn’t been too Monday-ish! 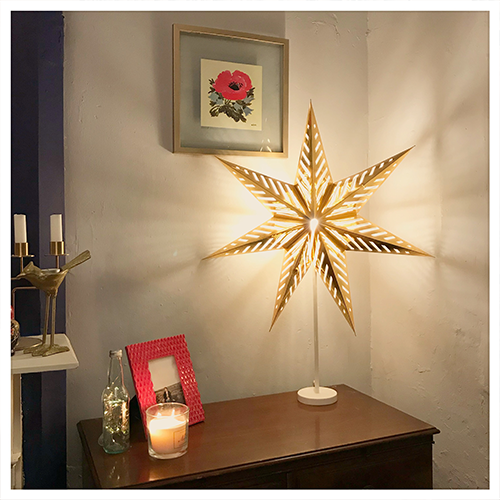 Day 13 of My House this Month is lamp and because I’m getting in a Christmas mood after hearing Fairytale of New York on the radio today, I’m sharing my gold star-shaped lamp in my living room. 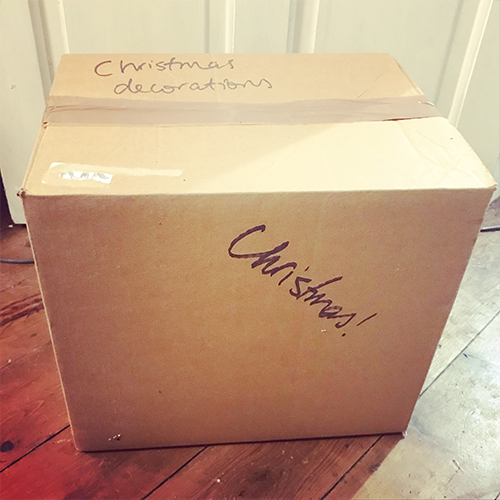 Strictly speaking, it’s a Christmas decoration, but I think it’s too pretty to put away for 11 months of the year. 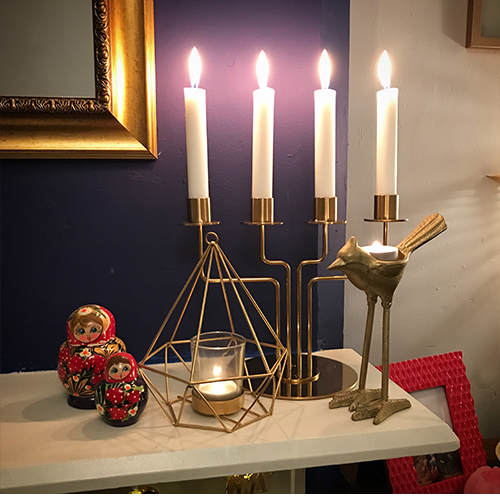 Plus it was a bargain because I bought it in the January sale! 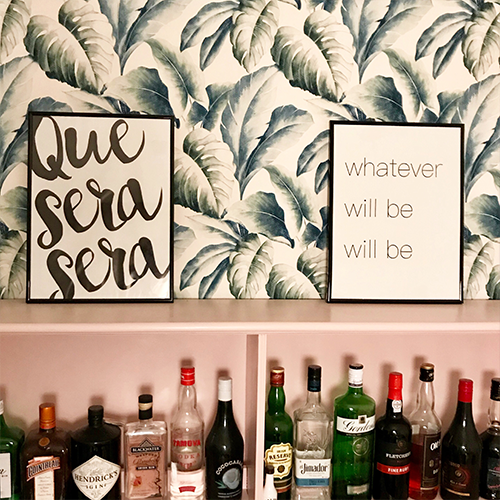 Day 15 of My House this Month is “boogie nights” … another shot of my home bar, where all good nights start (and end with a nightcap)! 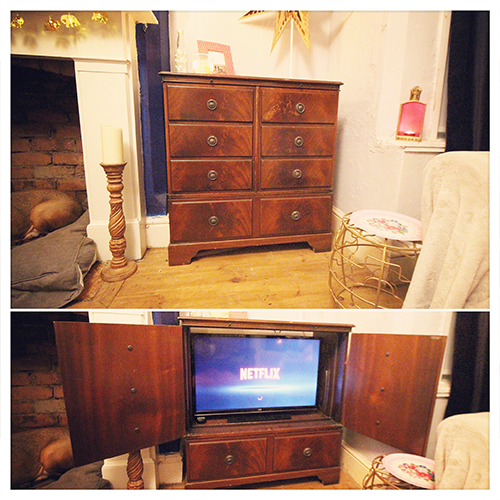 Day 17 is wood so I thought I’d share one of my many eBay bargains… my tv cabinet that looks like a chest of drawers but is really a telly cabinet that hides my tv away when it’s not in use. 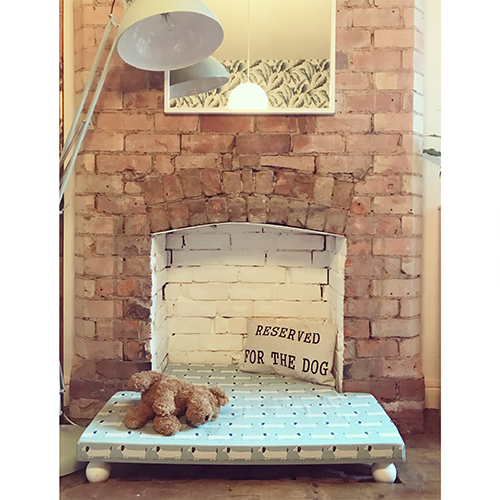 Day 18 is animal so it’s the perfect time to share Ted’s new fireplace dog bed in the dining room! Instructions on how to make your own will be on the blog as soon as I get a chance to update it. 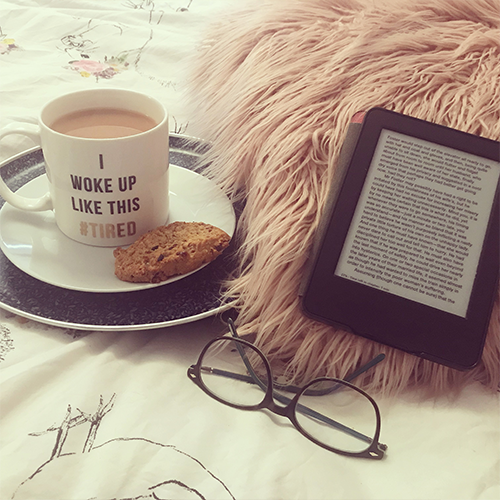 There’s nothing better than a cup of tea in bed when you haven’t had to make it yourself! 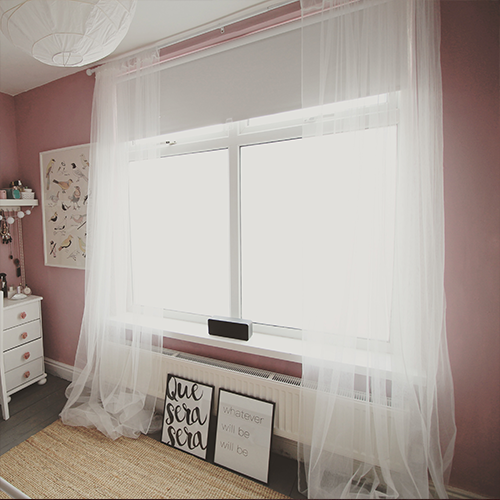 I actually have very little monochrome in the house because apparently I’m a massive lover of colour. But I do have these two prints that I made in honour of Doris Day, one of my idols and a complete boss lady. 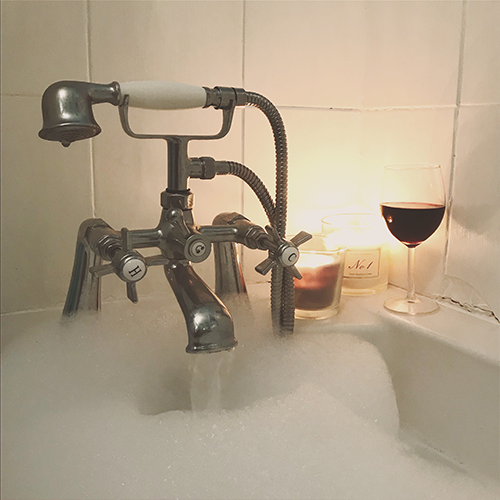 Is there a better way of relaxing after a hectic day than having a nice hot bath with a Lush bath bomb and a well earned glass of wine? 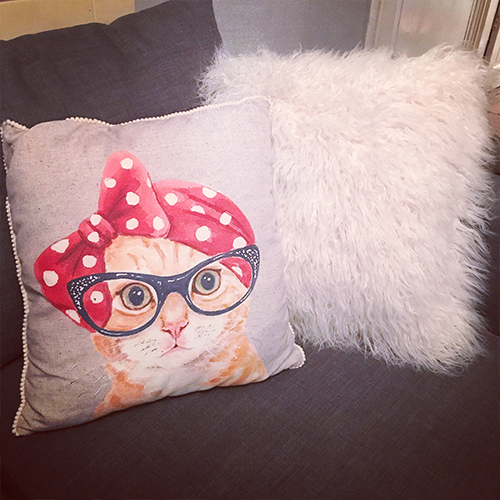 I love my cat cushion, which was on sale at Asda last year. The super fluffy one is from Matalan. My shopping list goes on the memo board on the back of my front door so I never forget it on my way out. 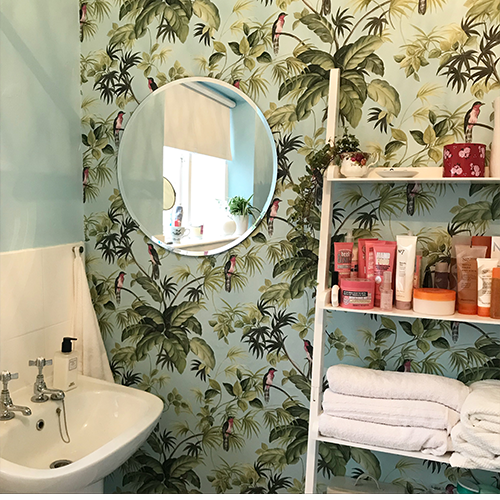 I’ve brightened my bathroom up with a few houseplants. 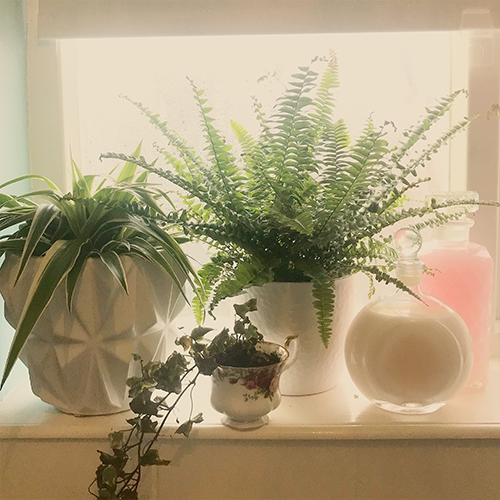 After some research into which plants would thrive in a humid bathroom with little light, I settled on a spider plant, fern and ivy. 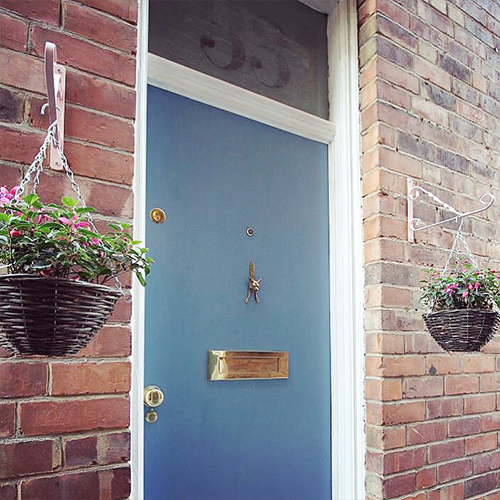 Admittedly this is less through the door, more just a picture of my front door, but it kind of meets the brief! 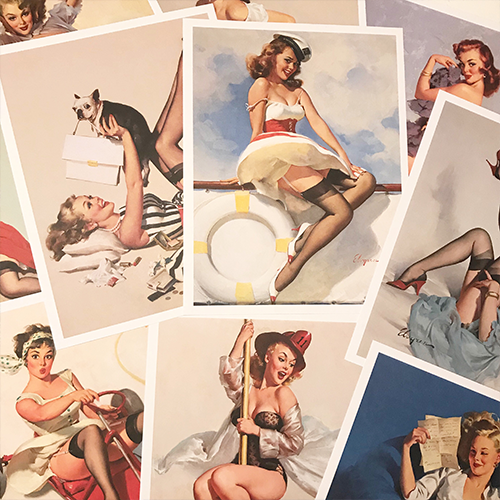 They’re not on the wall yet, but here’s a selection of the beautiful Gil Elvgren pinup prints that I’ve bought for the landing. 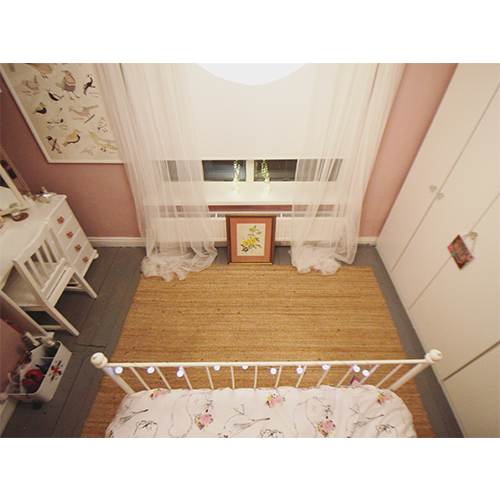 I’ve bought the frames too but I’m not allowing myself to put them up until I’ve painted the stairs and landing. I absolutely adore them, they’re so beautiful! Here’s a sketch I did for my mum for Christmas a couple of years ago. 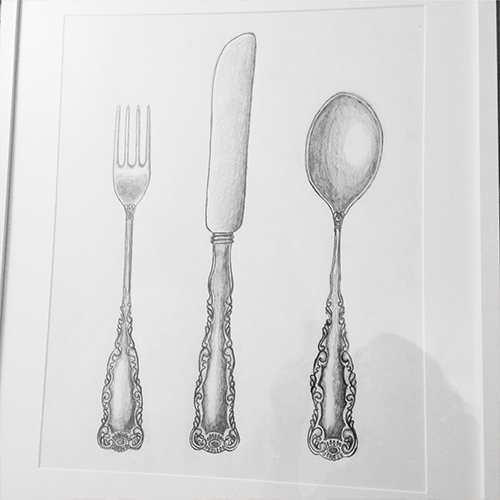 Its now got pride of place in her kitchen! Now it’s time for a well earned bath and glass of wine! Pleased to say that I had the pleasure of all of the above this weekend!